Last Sunday I went on a farm tour. 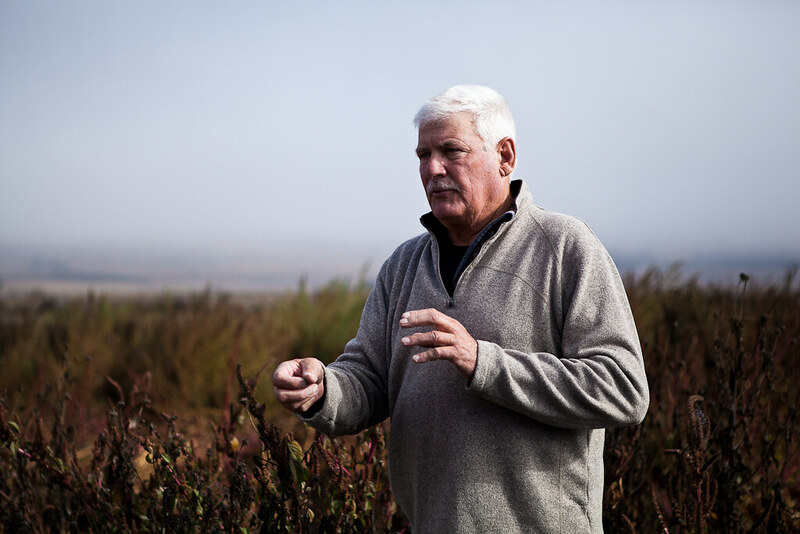 We boarded a bus in San Francisco, made our way through the city, over the foggy bridge, through the moodily gorgeous Marin headlands and up into Petaluma farmland. It’s remarkable country, close enough to the coast to entertain the Pacific fog daily, and far enough inland for perfect warm days. Little Organic Farm, our first stop, practices dry farming. That is, they don’t water their crops. Crazy, right? But in a place like California, with urgent water issues, the perennial threat of drought, and a long, rainless summer, dry farming is smart. 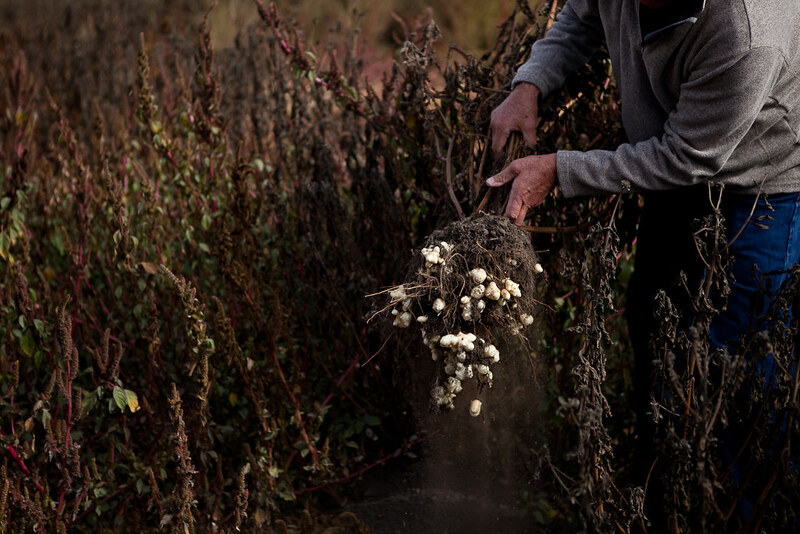 The top layer of soil is compacted after spring rains to seal moisture in the deeper layers of soil. This yields smaller produce with a more intense, concentrated flavor. And given the nationwide drought issues this year, it seems a smart solution to huge water shortages. Okay, let’s talk about this salad. This salad is perfection. Roasted potatoes in a salad? Genius. It is a perfect union of the gratifying comforts of potatoes with the wholesome satisfaction of a salad. 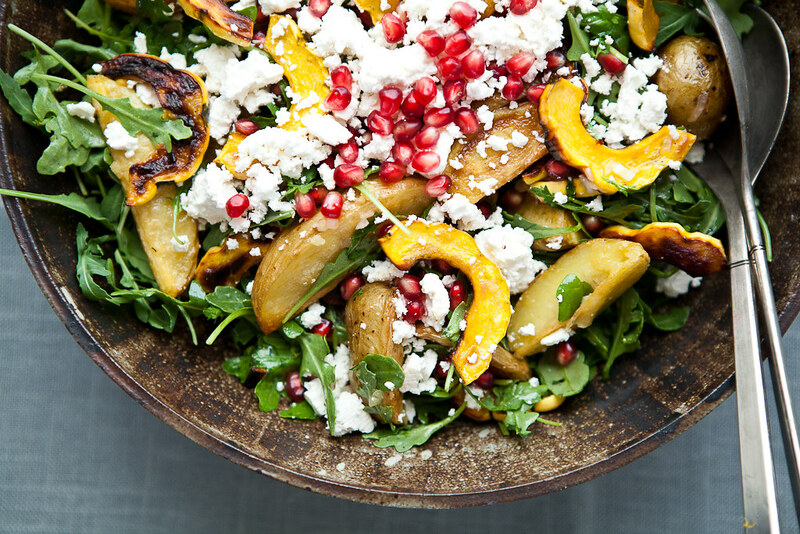 And the delicata squash are roasted to caramelized perfection, and the arugula and pomegranate seeds just send it out of the park. It makes a huge quantity – one that will disappear surprisingly fast. Nicole - OMG I’m soooooooooooooooooooooooo glad I stumbled upon your blog! Your photography is incredible and I want to make every recipe I’ve come across so far! YAY! Anna - Yum! Looks delicious, I love pomegranite with feta.